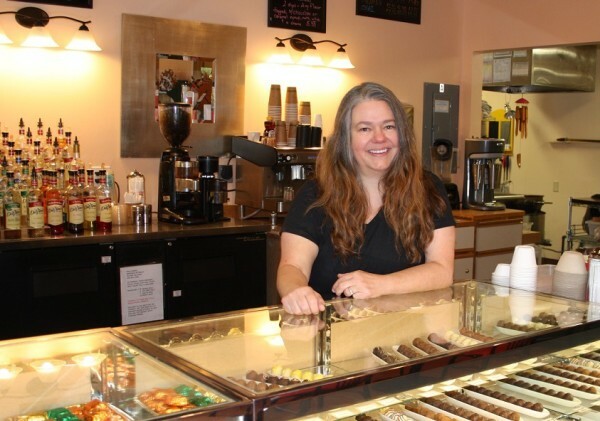 Life on Whidbey Island just got a little bit sweeter, all because Sweet Mona’s Chocolate Boutique just got a whole lot bigger. Whidbey Island is rich with exceptional talents skilled at making incredible objets d’art. One of these notables is “Sweet” Mona Newbauer, whose preferred medium is neither clay nor glass, but chocolate…and customer service. Newbauer uses her station behind that goodie-stuffed display case—as well as her position in the candy-making kitchen—to take people on an edible round-the-world exploration of all that is chocolate. There, she is best-known and loved for her handmade fudges, light and dark chocolate seafoam and nut brittles…as well as for her winning personality and uncanny knack for remembering her many patrons’ names and favorite treats. 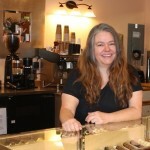 To Newbauer—boutique owner and truffle temptress—it was this dream of sharing a passion for cocoa that drove her to open the original Sweet Mona’s location in 2006. All too soon though, her aspirations outgrew the small leased space, and Newbauer, along with husband Tony, began a quest for a larger building with more room—room for both visiting and community confection lovers to sit and chat over an espresso and award-winning dark chocolate salted caramels, room for the Newbauers’ dreams to continue to grow, room that they could call their own. The move that carried Newbauer a few feet across the street was one she feared might never transpire. After an earlier acquisition fell through, she was hesitant to put her hopes on the line again. But true dreamers never completely give up hope for their goals and ambitions. To the outside world, Newbauer made the effort look, well, effortless. This, however, was far from the truth, she explained. Nearly overcome with emotion, she spoke with gratitude of a list of forty-some local volunteers, employees who worked on their off-days, people who simply dropped in and said, “give me something to do” and—especially—of Vern Hodgson, a retired contractor who dedicated hours of his own time to build cabinets and countertops, to name a few. Newbauer admitted that in the frenzy of the move—if you blinked, you would have missed it, as the shop was closed for only four short days—she hadn’t really taken time to savor the new, nostalgic ice cream parlor-esque shop bedecked with Coca-Cola décor and a classic Space Odyssey pinball machine, courtesy of Tim Leonard of Heavy Metal Works fame. Rest assured, Sweet Mona, that no one will be looking at the floor when they come in, as all eyes will be drawn to the display cases stocked with the finest chocolates, the ice cream case and accompanying milkshake machine and, of course, all the room…all the sweet, sweet room! Save the date! From 10 a.m. to 2 p.m. on Saturday, August 23, Sweet Mona’s Chocolate Boutique will celebrate its official Grand Opening in rich and delicious style, with samples, giveaways, special chocolate offers and more. 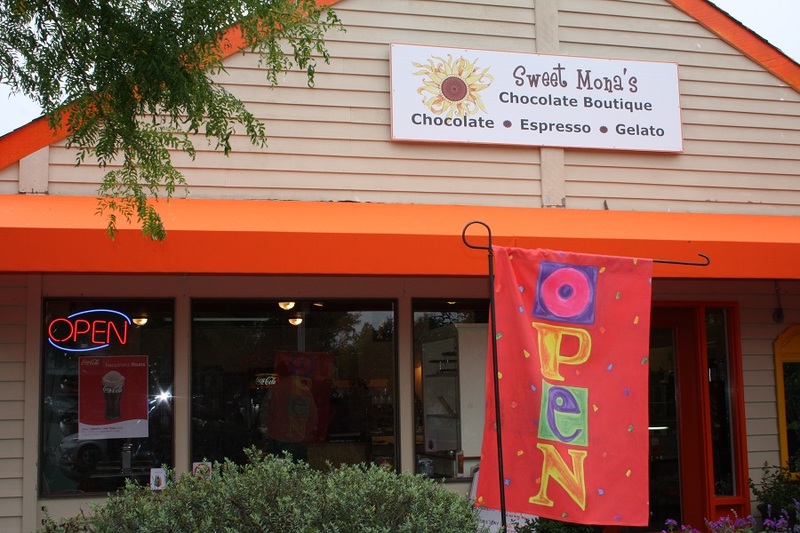 Stop by Sweet Mona’s new location located at 221 2nd Street, Suite 16, Langley from 10 a.m. to 5 p.m. Sunday through Thursday and 9 a.m. to 8 p.m. Friday and Saturday for decadent chocolates, a scoop of gelato (be sure to ask about the free float upgrade!) or both. 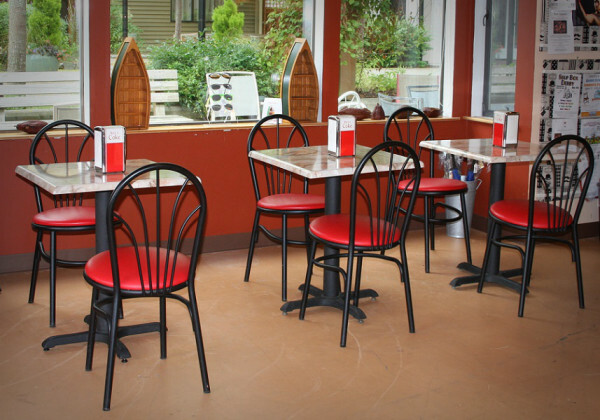 Visit Sweet Mona’s website or Facebook page or call 360-221-2728 for more information. Susan Wenzel, food writer, believes in the power of locally produced food to fortify the health and well-being of both the individual and the community as a whole.